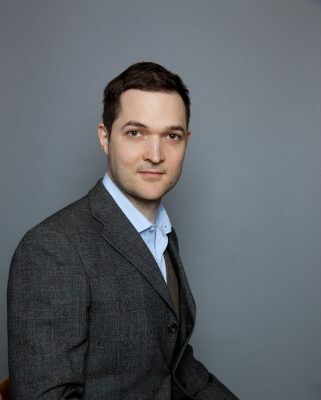 Benoy is delighted to announce the appointment of Gregory Kovacs, formerly at Heatherwick Studio, as a Director in the Shanghai studio. Gregory will be located at the London Campus before a permanent relocation to Shanghai in early 2018. Gregory will report to Qin Pang and Simon Wong, under whose leadership the Shanghai studio has expanded and enjoyed enormous success. He will collaborate with the Design Council and is extremely well placed to support the studio which continues to go from strength-to-strength. As Project Leader at Heatherwick Studio, his most recent projects include the Fosun Foundation Art Gallery and the Bund Finance Center, a mixed-use development in Shanghai. He was also the founder of their computational design unit of the practice, a specialist division focusing on the conception and delivery of geometrically complex structures. Gregory trained as an architect and engineer at Budapest University of Technology and at the Architectural Association in London. His art work has been exhibited and published internationally, and he was a unit master at the undergraduate school of the Bartlett UCL and taught at the Diploma and Intermediate Schools of the Architectural Association. “Gregory is the ninth director in 18 months to join us from leading firms including Fosters, HOK, RTKL, Herzog de Meuronand Atkins. Added to this we have promoted from within. We don’t aspire to be anyone else – we are Benoy – but it is deeply rewarding to attract and retain high calibre talent who possess a broad skill set and want to help us succeed in being at the cutting edge of design and all that we do. Together we can achieve our vision of building on an outstanding 70-year heritage and evolving our business to be the leading commercial creative design team,” says Tom Cartledge, CEO, Benoy. Benoy is thrilled to announce the appointment of Barry Spencer Hughes as Design Director. With over 25 years’ experience in design, Barry has a strong design-led portfolio having worked on significant large-scale, mixed-use projects spanning markets and typologies. “I am excited to have joined the Benoy team, and look forward to building on the firms national and international reputation for providing excellence and innovation in our built environment,” says Barry Spencer Hughes, Design Director, Benoy. “The appointment of Barry fits brilliantly with our business objectives for America. Barry brings energy, passion, creativity and drives us forward as a cutting-edge design team. His previous experience includes award winning mixed-use, retail and transport projects. Barry also brings a great reputation in designing tall buildings – an area of increased interest for Benoy. These are exciting times within the industry, and alongside Barry, we have appointed eight new directors in the last 18 months, adding to our width and depth of skills to provide new, creative and often commercial problem-solving design thinking,” says Tom Cartledge, CEO, Benoy. Primarily based at the London campus, Barry will shape Benoy’s global design message, while expanding the business in America. “Benoy’s experience and reputation in mixed-use and transportation led projects will be a great entré into the US market. We have a proven track record of creating great places all over the world, and I look forward to helping continue that tradition back home,” comments Hughes a US citizen who has been working out of London for the past 15 years. “We are delighted to have Barry in Benoy. He will quickly be an integral part of the team, principally leading our design message globally and in the US. His inspiring design solutions, ideas and approach align well with the next phase of Benoy’s brand development,” says Penny Illston, Head of Global Talent, Benoy. Benoy, the international award-winning firm of Architects, Masterplanners, Interior and Graphic Designers is delighted to announce multiple promotions within the company. Signalling Benoy’s continued success, the 37 promotions are across the global studios, including the recently formed London Campus as well as the Newark, Dubai, Singapore, Shanghai and Hong Kong offices. A people-focused firm, Benoy prides itself on its global team. United by a shared vision and set of principles, Benoy’s brand and employee ethos sees design integrity, innovation and cultural awareness at its core. Celebrating 70 years of design, the company continues to uphold a sustainable approach to recruitment. Here, home grown talent is nurtured and sits alongside the considerate curation of new employees, encouraging maximum learning as well as personal and professional growth. A place where talent succeeds, the brand’s culture of collaboration between colleagues and across studios ensures design excellence, strengthening Benoy’s position as a leader in the industry. This news comes following a strong set of financial results for the year 2016, which saw a 5% profit boost and £2 million paid in bonuses through profit share, in appreciation of its global talent. Benoy is pleased to welcome Monika Laudencka-Sobik as Director in London. This role will ultilise Monika’s breadth of experience working across mixed use, transportation and commercial projects, with a focus on design management and project co-ordination of major national and international developments. “I am thrilled to have joined Benoy, a company with cultural dynamics and a client focused approach which I fully embrace. The move has felt seamless and I am looking forward to building on my experience and contributing to the creative and operational aspirations of Benoy,” said Monika. 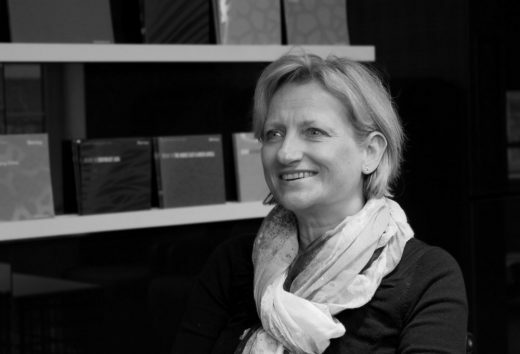 Monika has over 20 years’ experience in leading and directing complex projects with large multidisciplinary teams, most recently holding the position of Commercial Practice Group Director and office Director at CallisonRTKL. Working across a range of sectors, she delivers innovative and creative solutions to large-scale developments in Europe and the Middle East. “We are delighted to welcome Monika to the London studio. Her wealth of experience in leading major projects across sectors and regions bolsters Benoy’s global offering, and she is absolutely representative of our brand personality. A fabulous addition to our team,” said Penny Illston, Global Director of Talent. 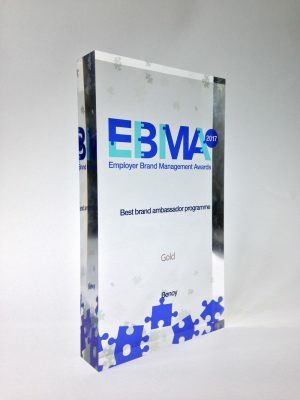 Benoy has won the Gold Award for ‘Best Brand Ambassador Programme’ at the Employer Brand Management Awards (EMBA) Europe this week. The win was shared with Hodes, the creative agency for employers, who partnered with Benoy to create and deliver and award-winning project. “This is an incredibly exciting win for Benoy and Hodes, recognising the hugely significant work we are doing to shape and develop Benoy for the future. We are humbled to win Gold alongside such formidable competition as Johnson & Johnson, Unilever, Dell and Paysafe. It’s wonderful recognition of how deeply invested we are in our people and bringing to life a brand our team truly believes in and wants to be a part of,” said Penny Illston, Benoy’s Global Director of Talent. The EMBA sets the benchmark for employer branding around the world, recognising the best in employee engagement and brand strategy across 19 categories. The award for ‘Best Brand Ambassador Programme’ celebrates companies which have implemented creative approaches to identify, communicate with and develop ambassadors for their brand. Building on the commencement of our brand development undertaken with strategic brand consultancy OneSixtyfourth, Benoy and Hodes have been working together since September 2016 on the campaign which looked at evolving Benoy’s brand culture. Taking a bottom-up approach, Benoy called out for volunteers across the organisation to be part of the ‘Whatever your Benoy, shape it’ campaign. With a global team of 550, more than 150 answered the call, representing over 20% of Benoy’s team. For the last six months, this team of ‘Firestarters’ within Benoy has been working on bringing to life the firm’s brand; from defining the core operating principles and personality from an employee perspective, to its practical application and manifestion. As part of this work, a series of initiatives created by the Firestarters sought to capture the behaviours Benoy wanted to evolve as part of the brand journey. Alongside this, they have also co-created the firm’s Rallying Cry ‘Imagine unique. Create remarkable’ and accompanying Manifesto which help deliver the brand message consistently and powerfully within Benoy. “Our people are our brand. As we took the steps to look at the Benoy we want to be in the future, it was important that this was created from within. This is just the start and we’re committed to continuing to build a brand that has the genuine belief of our teams,” said Penny. Benoy joins previous EMBA winners including Fitness First, Aldi, BMW, Transport for London and ING. 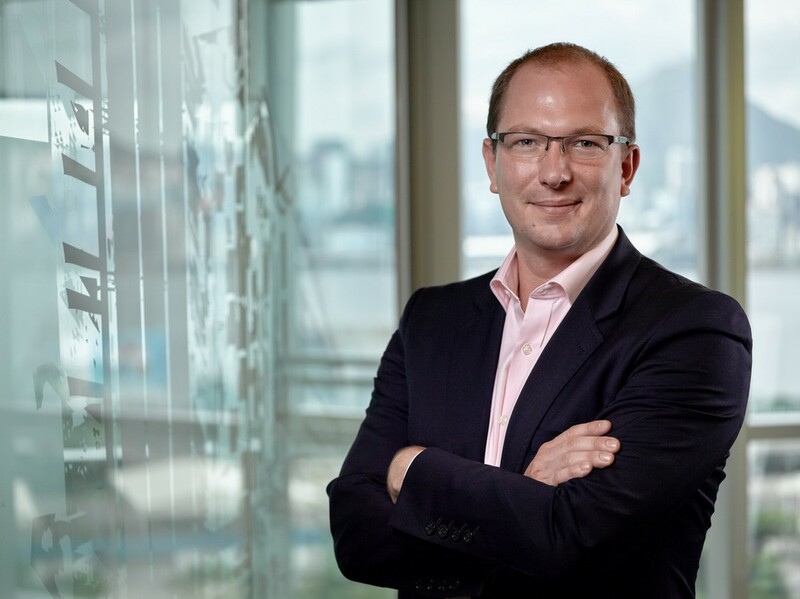 Benoy is proud to announce the appointment of Tom Cartledge, former Global Director – Commercial and Operations, to the role of CEO. Since joining the Benoy Team in 2013, Tom has been an integral member of the global directorship and instrumental in guiding the firm’s corporate strategy. Bringing his breadth of experience working with retailers, developers and investors to the firm, he is a key advisor to the business and active in exploring new sectors and developing new revenue streams. “We are excited to announce and welcome Tom as the CEO of Benoy. Undoubtedly, Tom brings a new perspective to the business which complements our Global Board and together their focus lies on design and delivery. He has a passion for growing the company in terms of sectors, services and regions and is shaping a bright and energetic future for our global studios,” said Graham Cartledge CBE, Chairman of Benoy. Under Tom’s leadership, Benoy has reached a number milestones. In 2015, Tom was influential in the establishment of the firm’s first on-the-ground presence in Australia with the opening of Benoy Melbourne. In the Americas, he has extended Benoy’s reach, diversifying the portfolio with new projects in Canada and the USA. Working with one of London’s leading developers, he is also evolving the firm’s offer, advising the Architectural Brand Strategy for the Silvertown regeneration in East London. “Benoy enjoys a great heritage and as we continue to innovate our business, Tom is dedicated to instigating and leading the ‘Second Curve’ of Benoy’s success. Along with the directorship across all studios, he will be instrumental in taking us forward into our next era of trading,” continued Graham. Ensuring the company continues to provide the best platform for its design team to operate at the leading edge, Tom has also been the driving force behind a significant investment in Benoy’s infrastructure and talent proposition. 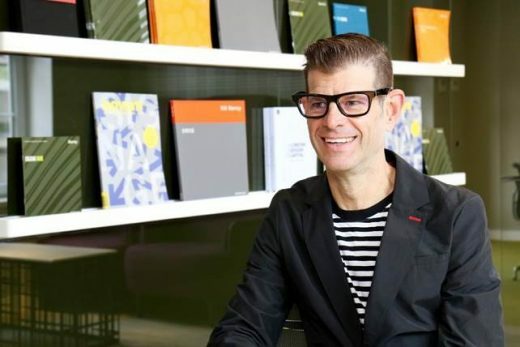 His commitment to ensuring the firm’s entire global team can deliver creative excellence will see new initiatives put in place to allow collaboration and the import-export of design expertise to become stronger across Benoy’s international network. “I firmly believe in collaboration and am convinced that, as a global team, we will achieve much, not only for Benoy, but also our clients and partners. Benoy will be 70 years old in 2017, and building upon our success, we are proactively and enthusiastically preparing for the next generation. It is my intention to build on what we have realised over the past seven decades and take Benoy forward under a united, shared vision,” concluded Tom. Benoy, a world leader in Architecture, Masterplanning, Interior Architecture and Graphic Design, is celebrating its five year anniversary in Shanghai with the opening of two landmark developments. iAPM Mall and Jing An Kerry Centre have both launched to the public and bring with them award-winning designs and concepts to China’s largest city. Benoy is now recognised as a truly international company with a global reach extending to over 50 countries. Asia, particularly China, has played an important role in the firm’s expansion. Over the last five years, Benoy has seen its turnover in the mainland increase more than 40%. Since establishing a permanent office in Shanghai in 2008, Benoy has built a strong presence adding Shanghai ICC, ifc mall (pictured further down this page), Plaza 889 and the new iAPM Mall and Jing An Kerry Centre to its growing portfolio. “During our time in Shanghai we have seen our team expand from six to 50. Due to our large portfolio in the city, we have also had the unique opportunity to base our office in one of our own designs, Shanghai ICC. The exposure for us has been extremely important in showcasing Benoy; a factor which continues to contribute to the success of our pipeline of future work”, commented Trevor Vivian, Director in Shanghai. Coinciding with their openings, iAPM Mall and Jing An Kerry Centre were both named winners at the heavily-contested 2013 MIPIM Asia Awards, taking home the Gold Award (Best Retail and Leisure Development) and Silver Award (Best Mixed-Use Development) respectively. Benoy was appointed for the full scope of work on iAPM Mall, delivering the Masterplan, Architecture, Interior and Graphic Design. 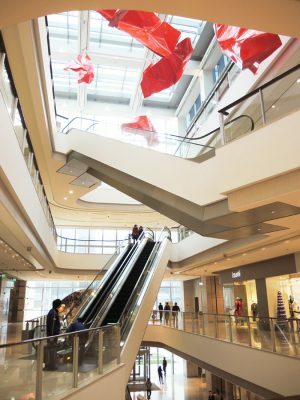 For Jing An Kerry Centre, Benoy’s leading retail designers were commissioned to deliver the luxury retail podium connecting the mixed-use development. The recent wins add to Benoy’s exciting outlook in the rapidly expanding city which notably includes the highly anticipated third central business district. The Lujiazui Pudong Qiantan development is set to attract over RMB 10 billion in future investment to the area and reflects Benoy’s reputation as a leading and visionary firm trusted to shape the landscape of modern Shanghai. 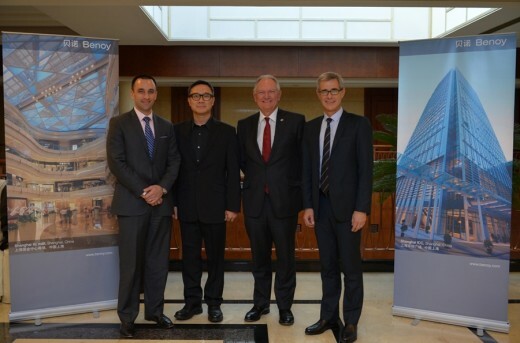 Benoy has been successfully performing in the wider China region for the last 11 years. Not only working in first tier cities, the firm has deepened its reach with projects in Chengdu, Shenyang, Tianjin, Jinan, Qingdao, Xi’an, Wuxi, Changsha and Suzhou. As a result, Benoy has gained significant experience and insight into the economic and cultural intricacies of operating in the country. As confirmation of the firm’s reputation, Benoy’s Chairman, Graham Cartledge CBE, was invited on the recent ministerial delegation to China led by UK Prime Minister, David Cameron. “An important factor in our success in China has been to utilise local knowledge. Our developments are delivered by a team of local and UK experts, and we ensure both opinions are engaged”, explained Graham Cartledge CBE, Chairman of Benoy. “To be successful in China, firms need to adapt their workforce. Sometimes we see UK brands trying to impose the same style that has served them well at home into different markets, and they wonder why it often does not work. At Benoy, we understand the importance and value of our local designers. This is why we are working with leading UK retailers to create stores that integrate into the local market but maintain their British brand”. There is an increasing appetite in China for innovation which has offered Benoy the opportunity to work on large-scale, fast-moving projects. Benoy has subsequently exported its knowledge and strategies throughout its global team. “Projects in China, for example, are much more focused on delivering a mixed-use offer. Town planning and new developments are striving to create 24 hour destinations combining living, working and entertainment with transport at their heart”, said Graham Cartledge. “This is an interesting and pertinent concept, and one that can be applied in the UK and countries around the world. As congestion, increased populations and strain is placed on existing structures, new thinking and on-the-ground experience allow our team to effectively respond to these design challenges”. 12 November 2013 – Benoy, a world leader in Architecture, Masterplanning, Interior Architecture and Graphic Design, was last week honoured at the MIPIM Asia Awards with four major awards for its projects across Asia. This year the firm celebrated five consecutive years of success at the awards which recognise outstanding real estate projects in the Asia Pacific region. Lan Kwai Fong Wuxi, K11 Art Mall in Beijing, iAPM Mall in Shanghai and Jing An Kerry Centre in Shanghai were selected by the judges for outstanding excellence in Architecture, Interior Architecture and Graphic Design, winning Gold (Best Chinese Future Development), Silver (Best Chinese Futura Development), Gold (Best Retail and Leisure Development) and Silver (Best Mixed-Use Development) respectively. Simon Blore, Global Managing Director, commented on the firm’s success at the awards, “MIPIM Asia truly does bring together the best of real estate leaders and projects in the region. To see four of our projects win this year, including future and built projects, is a great privilege for Benoy. To be honoured consecutively for five years, I believe, highlights not only the quality and consistency of our designs, but also our ability to adapt and lead the market with new concepts and ideas”. iAPM Mall, Gold Award (Best Retail and Leisure Development) winner, is located along Shanghai’s famous ‘high-street’, Huai Hai Road. Benoy has drawn on the district’s traditional Shikumen architecture and tree-lined streets in its design that features prominent outdoor terraces and unique ‘boxes’ for retail and dining. Set to open in 2015, Lan Kwai Fong Wuxi is the winner of the Gold Award (Best Chinese Futura Project). Benoy is the Masterplanner and Architect behind the scheme that uniquely blends art, culture, dining, lifestyle retail and tourism to create a new international entertainment landmark for the coastal city of Wuxi. K11 Art Mall in Beijing is a scheme by Benoy’s Architects and Interior Designers. This year’s winner of the Silver Award (Best Chinese Futura Development), the development is a luxury lifestyle destination embracing retail, art and a cultural connection to the nearby world-heritage ‘Temple of Heaven’. Winner of the Silver Award (Best Mixed-Use Development), Jing-An Kerry Centre is an integrated scheme which unites two commercial towers, a six-star hotel and a luxury retail podium. As the Interior Architect and Designer of the retail podium, Benoy created multi-level, showcase spaces to maximise retail exposure along the bustling commercial streets surrounding the development. Benoy, a world leader in Architecture, Masterplanning, Interior Architecture and Graphic Design celebrates its fifth anniversary in Singapore this year; growing from landmark beginnings along the famous Orchard Road to its appointment on two of the country’s most anticipated future developments at Singapore Changi Airport. Within 10 years, Asia has grown to represent approximately 75% of Benoy’s total company turnover, from just 7% in 2002, and is home to 330 Benoy staff, from just eight back in 2002. In fact, Benoy has achieved some of the fastest international growth among UK private companies and was recently celebrated for ‘Excellence in Emerging Markets’ in The Sunday Times HSBC International Track 200 Award. Between 2009 and 2011, international sales at Benoy grew by 28% per year and the firm added studios in Beijing and Mumbai. This year it added its ninth design studio with the opening of Kuala Lumpur. Gold Award (Best Mixed-Use Development) winner Hysan Place is Hong Kong’s hottest new retail destination in the prime shopping district of Causeway Bay. Benoy masterminded the interior planning, interior design and environmental graphic design of the 17-storey retail area, two atria and food and beverage oasis, offering views of Victoria Harbour and Kowloon peninsula. The first LEED Platinum standard installation in Hong Kong, the development’s green credentials are particularly impressive. Parc 66 in Jinan, with co-retail masterplanning by Benoy, comprises two malls linked by a series of glass bridges housed under a single glazed roof, with a retail concept inspired by natural springs in the area. The MIPIM Asia Silver Award (Best Retail & Leisure Development) is the third international accolade for Parc 66, following its double success at the ICSC Awards at RECon Asia in September. Benoy has created an exciting new retail destination with Central Plaza Rama 9 in Bangkok, winner of the Bronze Award (Best Retail & Leisure Development). The seven-storey development is zoned into three distinctive areas for leisure, entertainment and flagship retail, and raises the retail benchmark in Thailand. At MIPIM Asia this week, Benoy is also showcasing the recently completed mixed-use INDIGO development in Beijing, which includes the new EAST Hotel, and the company’s first Korean project opening, Seoul IFC Mall. Chairman Graham Cartledge CBE – himself marking his 38th year with Benoy – hosted the MIPIM Asia opening cocktails in celebration of the firm’s 10th year in Asia and 65th year in business. Benoy, international award winning Architects, Masterplanners, Interior and Graphic Designers, are delighted to announce the grand opening of the dynamic INDIGO development in the heart of the Chaoyang district of Beijing. By delivering the masterplan, architecture and interior architecture and design for all aspects of this new retail-led mixed use development, Benoy have achieved a composition that injects vitality into the 175,000m2 business and leisure destination. This includes 68,000m2 of retail, the 369 room EAST hotel (due to open Q4 2012) and the 25 storey 58,000m2 Grade A office tower, surrounded by a unique park setting. The project has been inspired in concept by its unique setting. A stunning 17 hectare park is located to the east of the development, which is counter-balanced by the urban cityscape lying to the West. This connection of two different but reflective sides of the Chaoyang district has been a key element of the design process. Benoy have ensured a fluid transition across these differing but complimentary aspects of the scheme. Connecting the opposing sides seamlessly, the retail podium is designed with the urban side situated on the west. Styled with a sleek urban corporate element it mirrors its landscape perfectly. The east wing, facing the par, has been interspersed throughout with organic and holistic elements again reflecting its environment. Ensuring this seamless transition from urban environment to the natural side, one unique space that has been created is called the “Winter Garden”. The Winter Garden has been conceived as a multi-functional event space. With a floor area of 2,300sqm and 33m height covered by a spectacular free form monocoque roof cable net structure glazing wall, the intricate detailing in infused to give this space its high tech ultra-modern outlook. INDIGO mall and ONE INDIGO have been awarded with the prestigious Leadership in Energy and Environmental Design (LEED) Certification, Gold (pre-certified) and Platinum (certified) rating respectively. Recognised as a world leader in Architecture, Masterplanning, Interior Architecture and Graphics Design, Benoy is honoured to announce the international company has received two Asia Pacific Shopping Center Awards at the International Council of Shopping Centers (ICSC) Asia Retail Real Estate World Summit 2012. Hosted at RECon Asia in Shanghai, the prestigious industry awards recognize the most cutting-edge and innovative properties and industry excellence. This year, Parc 66 received the top Gold Award in the ‘New Design & Development’ category and the special ‘Sustainable Design’ award. Situated in Shandong province’s capitol city of Jinan and at the heart of the city’s fastest developing district is Parc 66, ideally located on the iconic ‘Golden Avenue’. The development has been designed to create a striking new landmark or the heart of the city. Reflecting the region’s natural beauty in its design, Parc 66 takes its theme from the surrounding lakes and springs, embodying a fluid design with its undulating roofs, green spaces, curved façades and water themed interior design, the cutting edge technology and timeless design brings vibrancy and caters for a new level of luxury to the cities increasingly affluent community. The interior design concept was inspired by the ‘Springs of Jinan’, realised through the use of crisp materials and the incorporation of a classic water motif throughout the interior design, graphics and wayfinding, the design has been critical in establishing an identity and emotional element to the space. Benoy is delighted to announce four new contracts for the Company in India, and celebrate the opening of the innovative ‘Pacific Mall’ in Delhi, during Business Secretary Dr Vince Cable’s Delegation to India, 17 – 19 January 2011. The Company’s landmark destinations in India will deliver world-class shopping, leisure, hospitality, urban and civic regeneration and new transportation hubs, enhancing the quality of urban life. Specialising in urban design as the Architects of Westfield London, Ferrari World Abu Dhabi, ION Orchard Singapore and Elements in Hong Kong, Benoy entered the Indian market in 2005. In a relatively short space of time, Benoy has become one of the most recognised international Architectural brands and a leading player in the market. For Bharti Realty, the real estate arm of Bharti Enterprises, Benoy will design and deliver the 30,000m² retail portion of ‘DIAL Aerocity’ – a new commercial, hospitality and business district set to regenerate Delhi International Airport; and a 50,000m² mixed-use destination located in burgeoning ‘new Gurgaon’. Working with new client M3M India in Gurgaon, Benoy will create an innovative 80,000m² retail and office development that will continue to realise the region’s growth potential. Finally, on a prime site in Mumbai, Benoy is set to design a premium high-end mixed-use development to include two 5 star international brand hotels, world-class office space and a 35,000m² high-end retail mall. The combined fee value for these schemes will be GBP £1 Million for Benoy. Benoy is also celebrating the opening of their ‘Pacific Mall’ for client Bansal Group. Situated in the upscale Rajouri Garden district of Delhi, this groundbreaking development will open on 20 January 2011. One of Delhi’s first retail malls to be located alongside a Metro station, the breathtaking destination boasts international retail brands including ALDO, Early Learning Centre, Calvin Klein, Lifestyle, Mango, Mothercare, Promod and Timberland. Benoy – international architecture practice has offices in Hong Kong, Shanghai, Beijing, Kuala Lumpur, Singapore, Abu Dhabi, Mumbai, Newark and London. Benoy was founded in 1947, in UK; an internationally acclaimed, award-winning firm of Architects, Masterplanners, Interior and Graphic Designers with a dedicated team of people working from design studios in Hong Kong, Shanghai, Beijing, Kuala Lumpur, Singapore, Abu Dhabi, Mumbai, Newark and London. Benoy brings together design integrity, international experience, local understanding and real personality to create the unique ‘Benoy offer’. Benoy’s global reputation is built on award-winning projects including Elements in Hong Kong, Shanghai IFC Mall, ION Orchard Singapore, Westfield London and Ferrari World Abu Dhabi. Benoy’s remit embraces a range of work including Retail, Mixed-Use, Commercial, Hospitality, Leisure, Residential and Transportation. Benoy is currently working on schemes in Abu Dhabi, Australia, Belgium, Bulgaria, China, Egypt, Germany, Greece, Hong Kong, India, India, Ireland, Italy, Japan, Korea, Lithuania, Malaysia, Netherlands, the Philippines, Poland, Portugal, Romania, Russia, Saudi Arabia, Singapore, Slovakia, Spain, Sweden, Taiwan, Thailand, Turkey, Ukraine, the USA, Vietnam and across the UK. Benoy is ranked among the top ten architectural practices in the UK. With a multi-disciplinary team working in offices in the UK, Far and Middle East, Benoy has developed a reputation for delivering complicated, innovative and commercially successful retail environments by adopting a holistic approach that draws on all of the major design disciplines, namely masterplanning, architecture, interior, thematic and graphic design. Whilst continuing to enhance their reputation as one of the world’s most successful retail architects, Benoy is now enjoying increased recognition in the urban regeneration, masterplanning and mixed-use sectors. October 7, 2017 in Architects.